The new SB 1000 is part of the company’s continuing commitment to provide the industry with technologically advanced band sealers for closing all types of plastic bags/pouches in all kinds of environments. It is a smart solution for your bagging needs. 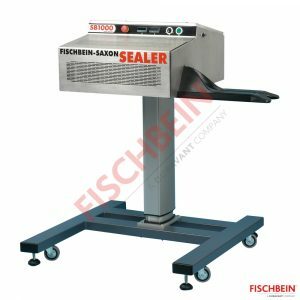 The Band sealer SB 1000 uses the principle of transfer by conduction where fixed heating elements heat the bags by direct contract through a pair of bands. These bands have high thermal conductivity and move in synchronization with transport belts.